Warm butter in a large, ovenproof sauté pan and add black pepper. Bring to a low boil and simmer until cream thickens to coat the back of a spoon. Stir in tomato sauce and simmer for 5 minutes. Add cooked gnocchi to pan and stir gently until sauce is evenly distributed. Place slices of cheese over top and bake in an oven preheated to 375?F (or run under a hot broiler) for about 2 minutes, until cheese is melted. Divide gnocchi on 4 plates and garnish each with chopped parsley. 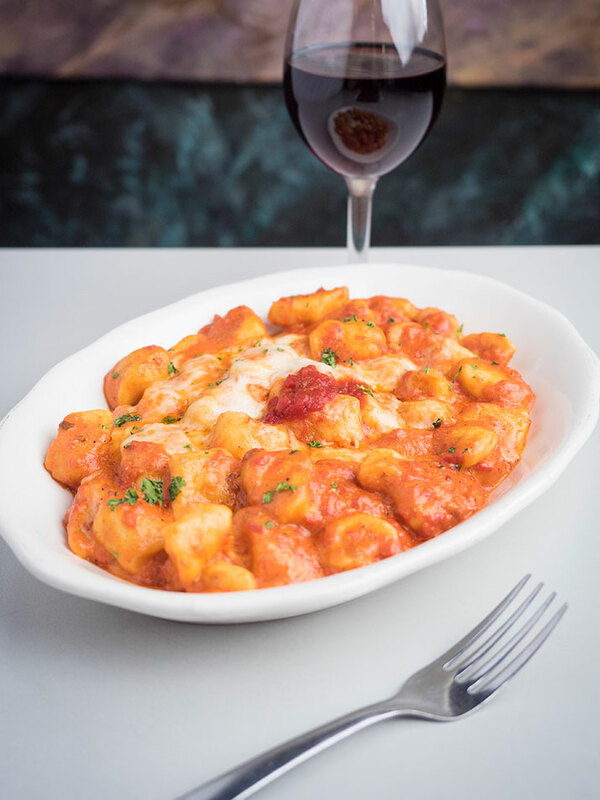 *Bruno Scipioni makes gnocchi by hand at the restaurant, but home cooks can use a commercially prepared product for convenience.